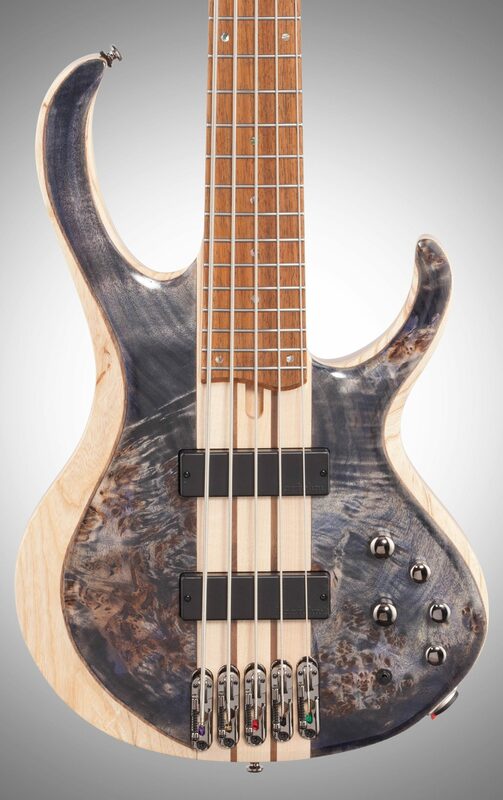 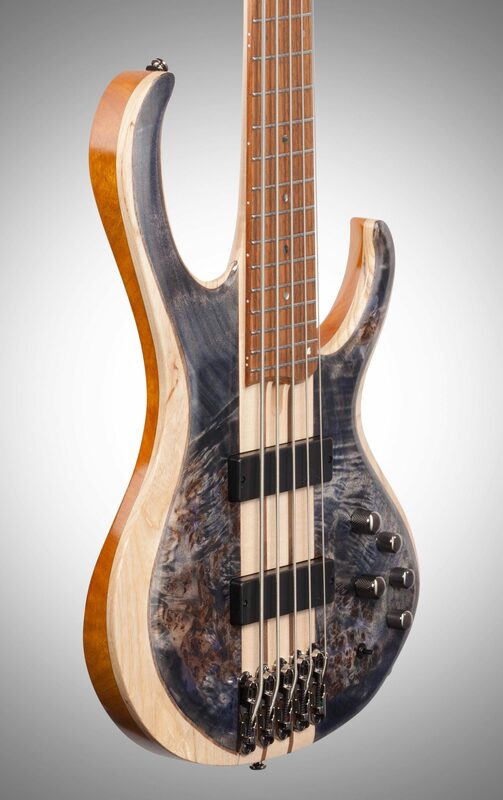 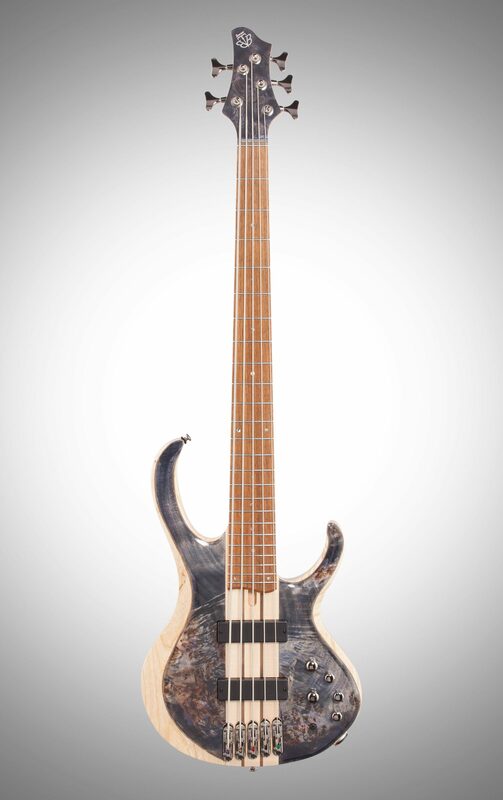 The BTB845 is a 5-string bass featuring an Ash wing body with Poplar Burl top/Mahogany back that creates a sound that is response, articulate, and deep. 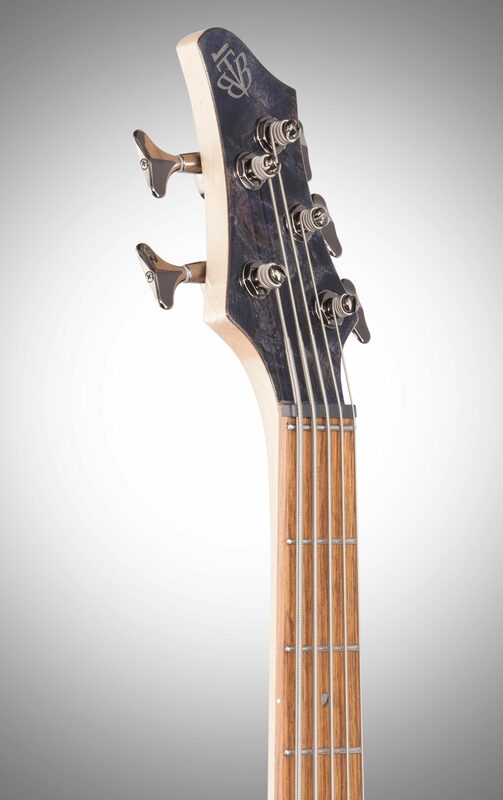 A 35" scale, 5pc Maple/Walnut through-neck provides superior resonance, and enhances sustain. 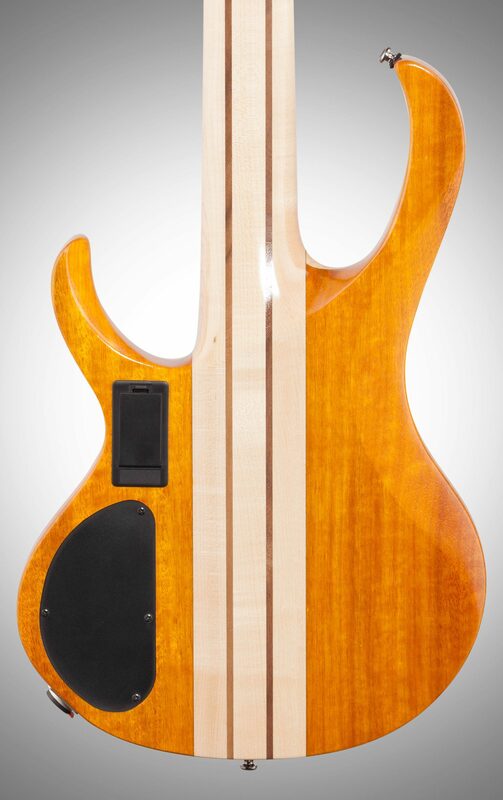 The jatoba fretboard sports highly-durable Stainless Steel frets that produce a clear, bright tone, and a zero fret provides accurate intonation, while allowing open strings to ring with the same resonance as notes played up the neck. 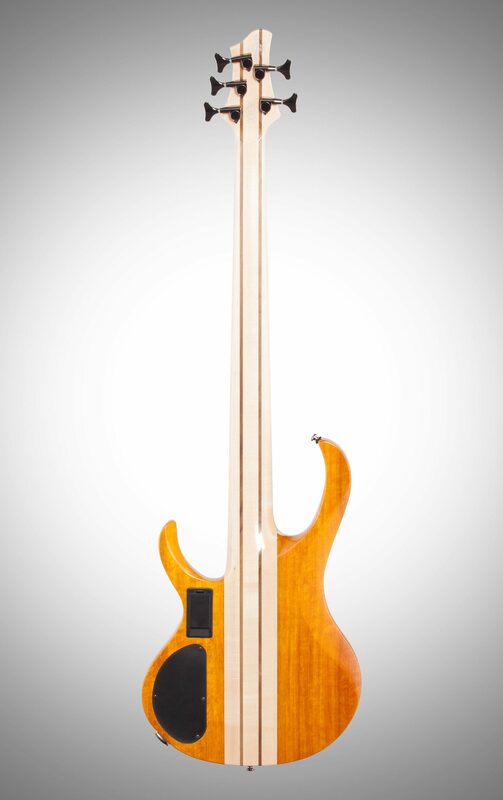 Mono-rail V bridge allows for a wide range of adjustment, with each isolated saddle securely locked down to the body for optimum vibration transfer, and minimal sympathetic string interference. 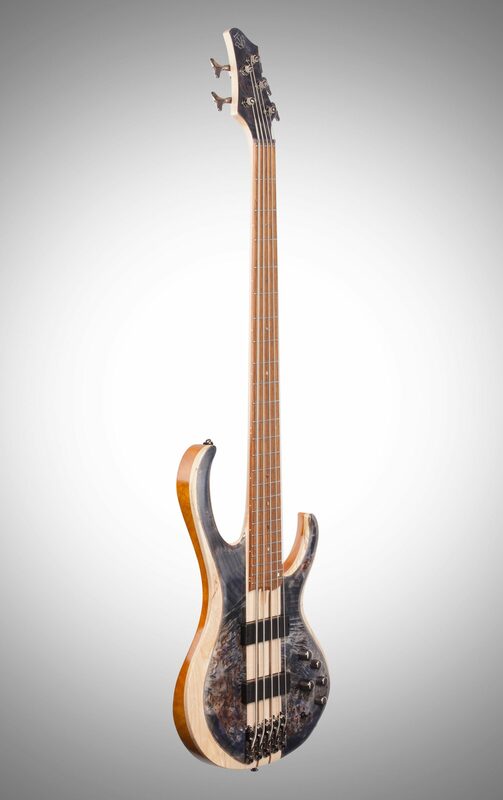 D'Addario NYXL strings are installed for expanding dynamic range and harmonic response. 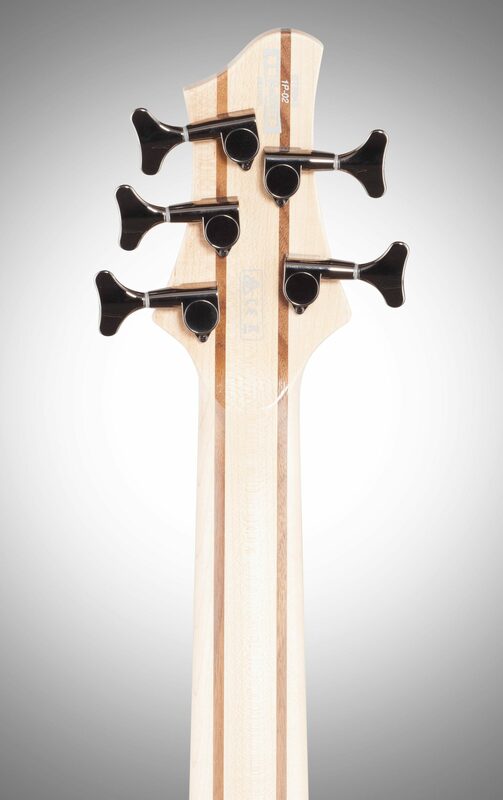 A high-tech Neutrik locking output jack ensures a secure connection, preventing accidental disconnect.